As a kid my brothers and I happily played with these dolls. 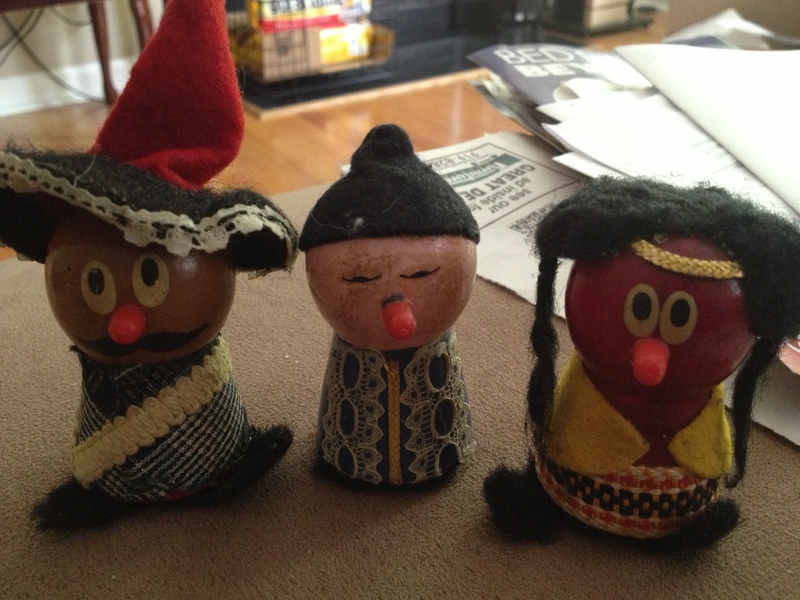 Now when I look at them I realize they are terrible stereotypes, bordering on racist. To me they are a symbol of how sometimes we have to accept that fond memories from our past are hurtful to others. And that it is on us as individuals to learn the true history of symbols, to change our way of thinking — accept that we were wrong, make amends and move forward. Instead of holding on to ideas that are outdated and hateful, we should all strive to embrace others in love. Just like these dolls have no place in today’s world, neither does the confederate flag belong on public property. Find other symbols at The Daily Post.